The tech-funded “Yes in My Backyard” movement thinks the housing crisis can be solved by rapid development, but does it only benefit those at the top? Sorana Nance, a 20-year old sophomore at the University of Washington, wasn’t expecting a lawsuit. When the head of UW’s Student Council went before the Seattle’s city housing committee in February, they (Nance uses they/them pronouns) were testifying on behalf of low-income tenants across the city. Nance was there that day to make the case that while Seattle’s housing crisis is making a lot of landlords richer, lower-income students are having a rough time making rent. 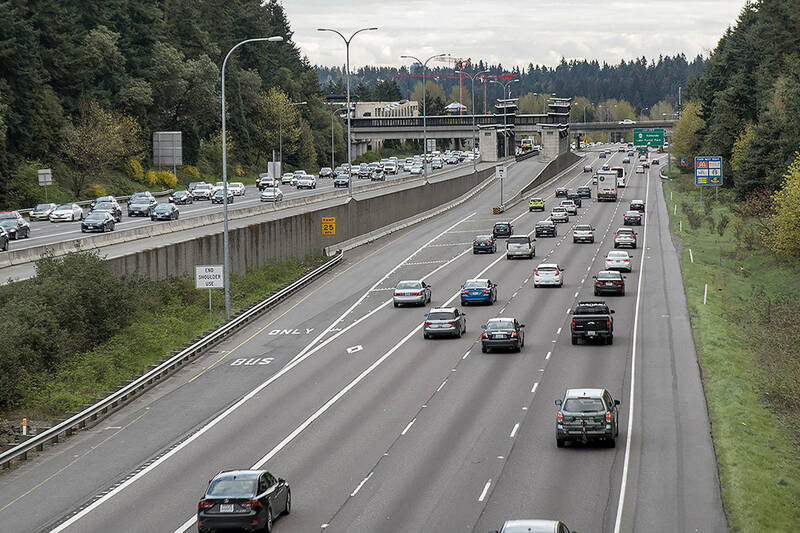 “I know someone who commutes from South Puget Sound, so roughly an hour-and-a-half commute every day because she just can’t afford to live here,” they told Seattle Weekly. The three City Council members there that day were sympathetic to Nance’s cause, and the hearing led to a one-year ban on rental bidding websites. These websites—like Rentberry and Biddwell—are a sort of eBay-meets-LinkedIn for the rental market, where landlords can take bids and judge potential tenants by their online profiles. Soon after Rentberry’s 2016 launch, Vanity Fair quipped that the spread of sites like Rentberry would turn apartment-hunting in sought-after cities like Seattle into a Hunger Games-esque battle that has few winners (landlords, high-end renters) and a lot more losers (creating bidding wars that could increase rents across the board). In May, the Silicon Valley-based Rentberry, along with Seattle landlord Delaney Wysingle, decided to sue the city, saying the first-of-its-kind ban violates landlords’ right to free speech. Rentberry’s yet another “disruptor” in the libertarian-leaning world of tech housing startups, joining the likes of Airbnb—another company that depends on less, not more, government regulation. YIMBYs have become a go-to voice on housing issues for mainstream media outlets from The New Yorker to The Seattle Times, which have all written positively of the movement. While their biggest base lies in Silicon Valley, they’re growing locally via microgroups with names like Miller Park YAY-bors and Seattle for Everyone. But many people don’t fall into either YIMBY or NIMBY camps. Critics say Silicon Valley’s YIMBY political movement, largely funded by higher-ups at places like Google and Microsoft, will not bring housing costs down. In fact, some believe the movement is “astroturfing”—i.e., giving a faux-grassroots face to a real-estate industry in need of a public-relations makeover. In 2009, Violet Lavatai lost her job as a computer technician at Chevron and became homeless after being unable to compete with the likes of younger techies. The experience spurred her toward work as a tenants’-rights organizer. Today she’s executive director of the Tenants Union of Washington State. Talking about the thousands of moneyed techies with Amazon at the top of their resumes descending upon Seattle each year, the Samoan-by-heritage Lavatai offers comparisons to the decimation of Native populations in Hawaii and the Northwest. Contrary to the YIMBY ethos, when it comes to serving the needs of people on society’s bottom income rungs, especially people of color, “supply and demand has been proven wrong again and again and again,” she says. Supply-and-demand economics have been refuted by large and finance industry-entrenched organizations like the Federal Reserve Bank of New York, which looked at 24 years of rent estimates and found that trickle-down policy was affecting low-income renters the hardest, because most new free-market development is built for people on the upper end of the economic spectrum. The city’s Central District is a stark example of what can happen when market-rate development is unleashed on a neighborhood. Once a majority-black area, the District is now cost-prohibitive to many black Seattleites, who make, on average, less than Asians or whites. The city now faces what its own Race & Social Justice Initiative calls an “extreme racial disproportionality in homelessness,” with—no surprise—black people ending up on the street in droves. Housing advocates more deeply impacted by the housing crisis are pushing for solutions that don’t depend on Reaganomics. According to Lavatai, one of the biggest goals is to reverse the 1981 legislation banning rent control in Washington. Rent control ensures a tenant won’t get forced out at the whim of the market, because the landlord can’t raise the rent by much until a renter decides to vacate. San Francisco passed its rent-control law in the late 1970s, as some renters experienced as many as seven rent hikes in just one year. Tenants’ groups say such laws are one of the only things keeping some people in their homes. Another solution would be to put more controls on who can apply for the city’s major affordable-housing push: inclusionary zoning, wherein developers must set aside a few units in new condo complexes as below-market-rate. As it stands, in Seattle an unmarried, childless buyer can make up to $84,000—or 120 percent of the area median income—and still be eligible for this affordable housing via the Multifamily Tax Exception. (Under the city’s Mandatory Housing Affordability program, renters making around $40,000—which is 60 percent area median income—are considered eligible for this affordable housing.) Speaking of people who access Tenants Union services, Lavatai says that number is way too high. It’s “a full-time job [just] to find out what housing they qualify for,” she says, and $84,000 is not only a lot higher than minimum wage, but higher than even many middle-income earners could ever imagine bringing home. Lavatai points out that the 13-year waiting list for King County housing vouchers shows the area is begging for more low-income, subsidized rental housing. Federal funding for public housing has declined by billions in the past decade. And yes, public housing isn’t perfect, but it’s keeping a lot of people with roofs over their heads. It’s a reality of modern city life. In New York City, one in 14 residents calls a public housing project home. In Singapore, it’s four out of five. Additionally, YIMBYs like Bertolet advocate that the city takes a “wait-and-see” approach before deciding if short-term rental services like Airbnb raise housing prices for locals and thus deserve more regulation. Saxman believes the proof’s already here. The governments of many of the world’s most popular tourist stops—like Barcelona, Berlin, and Paris—agree, having already instituted restrictions such as mandatory registration for Airbnb hosts and limiting hosting to one month per year. Analyzing data between 2014 and 2017, McGill University released a report in January which found Airbnb had increased the average rent in New York City by $380. Innovative ideas can only go so far. After all, most Silicon Valley startups fail. As evictions and homelessness explode, will the YIMBY solution to the housing crisis help or go down in flames? Update (June 25): The previous version of the story stated that money went from Sightline to Good Ventures, when in fact Sightline received money from Good Ventures. The figures have been corrected and clarified. Update (June 27): The cited stat than “an unmarried, childless buyer can make up to $84,000—or 120 percent of the area median income—and still be eligible for this affordable housing” was in reference to the Multifamily Tax Exception. Under the city’s Mandatory Housing Affordability program, renters making around $40,000 are considered eligible for this affordable housing. Editorial Update (June 28): Since its publication, this article has drawn stark criticism from YIMBY groups and was written about by Erica C Barnett on The C Is For Crank. You can read her criticisms here. While the piece addresses some errors made in the original copy (that have since been corrected/updated), Barnett’s criticism also relies heavily on her own imagined projections about how the story was put together. For example, Barnett suggests that we were completely unaware of the writer’s background and should’ve “googled him.” That’s simply not true. We were aware that Meronek (a San Francisco-based, Seattle native) had written articles in the past that had drawn the ire of people within the YIMBY movement. Perhaps that could’ve been framed better, but the idea that a reporter shouldn’t be able to write on a topic because of backlash they’ve received from the subject’s side would have a chilling effect (it would be incredibly difficult to write about the current Presidential administration, for example). The paragraph about the Central District being even more cost-prohibitive for people of color due to market-rate development (which is factual) at no point says that it’s the only reason for the demographic shift in the neighborhood. Barnett goes on for paragraphs about the issue, but this article wasn’t about the Central District, so a comprehensive history would’ve been a diversion.